It happens to the best of us, Foodies. Even me. It doesn’t turn out the way you want it to. Ugh. It’s a bummer isn’t it? But what can you do? It’s a part of being a Foodie! 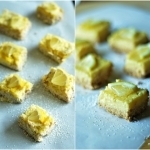 Recently, I saw a recipe for low-carb lemon bars. I was really excited. 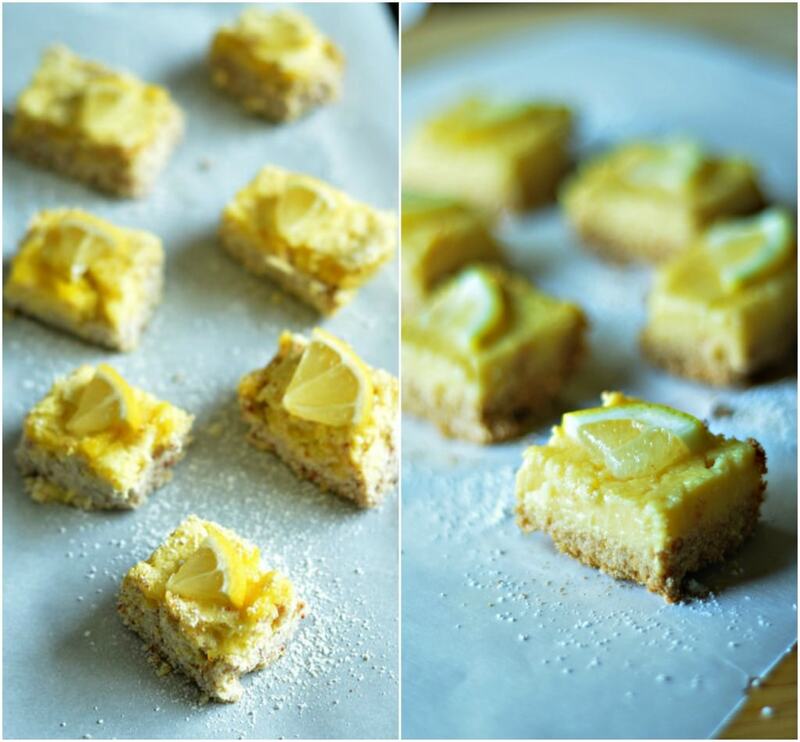 I’m not a huge sweets fan, but lemons and summer are just perfection to me and I really wanted to make these! Here’s the source recipe I used. So what’s wrong with them? That’s probably what you’re asking yourself. Because the picture looks ok, right? I wasn’t a huge fan of the crust. It was made from almond flour, pulverized coconut, a bit of sweetener and I subbed the butter in the recipe for low-fat cream cheese. Even still, it tasted sort of bland to me. Which sort of made the thickness of it worse. So there ya have it. 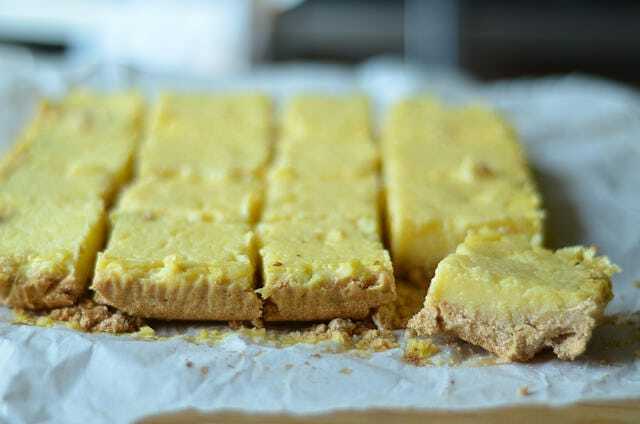 Now…please understand, Foodies, that these recipes do come out of my weekly food budget, so I had to sit on this fail for a bit while I actually finished the lemon bars (dirty secret: I tossed the last few). But as I was tasting them and tasting them, an idea began to formulate of how I could make them my way. How I could play with my food! The new recipe started out a lot like the first one. By juicing many, many lemons. Then I set that aside to make my crust out of crushed Fiber One cereal, coconut flour, Splenda (use what you like) and a pinch of salt. 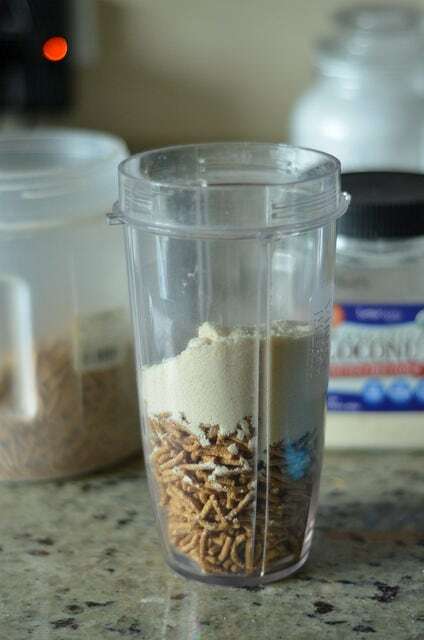 I then mixed in 5 oz. low-fat cream cheese. I use cream cheese instead of butter, again, to bring down the fat levels a little bit. Also I knew the lemon filling would be really tart so a little extra richness is a good thing in that situation! Until I could form a ball with the crumbs. Next, I pressed the crumb crust into a parchment paper lined 8 x 8 pan. I could already tell the proportion of crust to filling was going to be better this time around. I popped the crust into a 350 degree oven for 15 minutes and while that was cooking I added some Egg Beaters, egg yolks, sweetener, and a bit of corn starch to the lemon juice. I used Egg Beaters to cut down on some of the fat. My body and high fat foods are NOT friends! But I generally find that as long as you use some egg yolks in these types of filling, they will set. From there you just need to let it cool thoroughly before popping it in the fridge for an hour or two. Then you can just take that parchment paper out of the baking dish, lay your bar recipe out on a flat surface, and cut it into squares. Easy peasy! So the lesson in all this, Foodies? I guess it’s just that you should read a recipe and its directions carefully before deciding to make it. And study the picture. 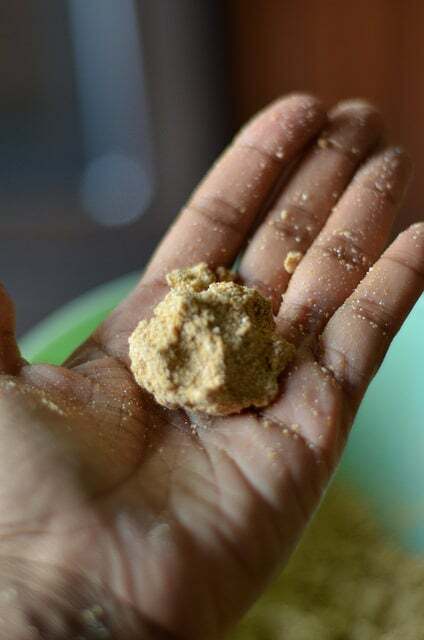 We food bloggers love to compose beautiful pictures, but at the end of the day they must be realistic representations of what you’ll get when you make the recipe at home. I think in this case the picture represented the recipe just fine…I just didn’t pay close enough attention! Oh and also…because you know I gotta say it…don’t be afraid to play with your food! 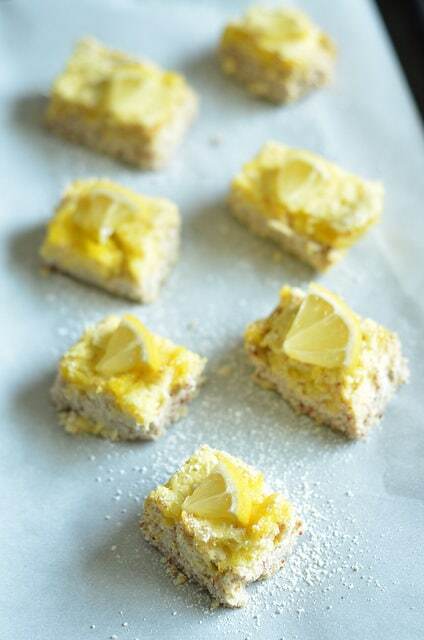 If you love the tart, sweet taste of lemonade, you'll love these lemon bars that use less fat and more fiber for a low-carb treat! First make the filling by mixing together cereal, coconut flour, sweetener and salt in a bowl. 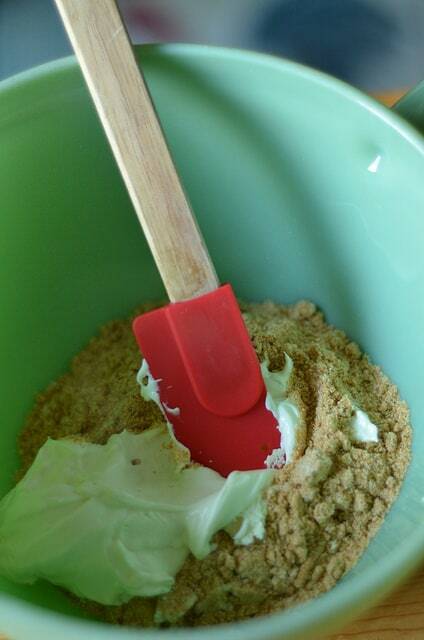 Add softened cream cheese and mix until it forms a clumpy sand-like mixture that can form into a loose ball in your hand. 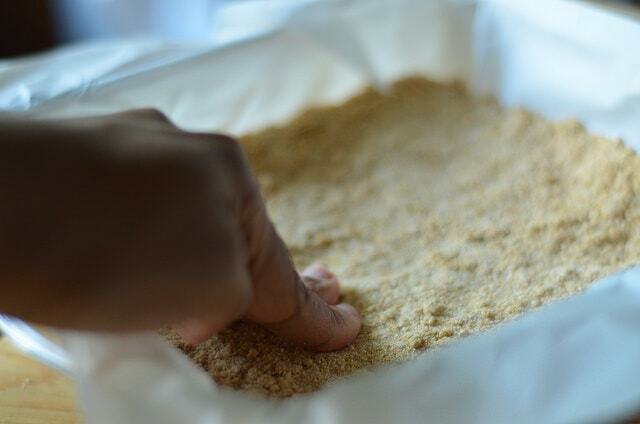 Line an 8 x 8 baking pan with parchment paper, then press the crumb mixture into it. Bake the crust 15 minutes, then allow it to cool. 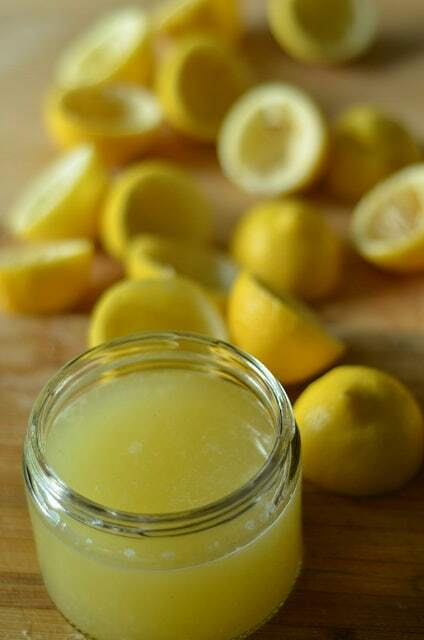 In a mixing bowl, combine lemon juice, liquid egg substitute, egg yolks and sweetener. 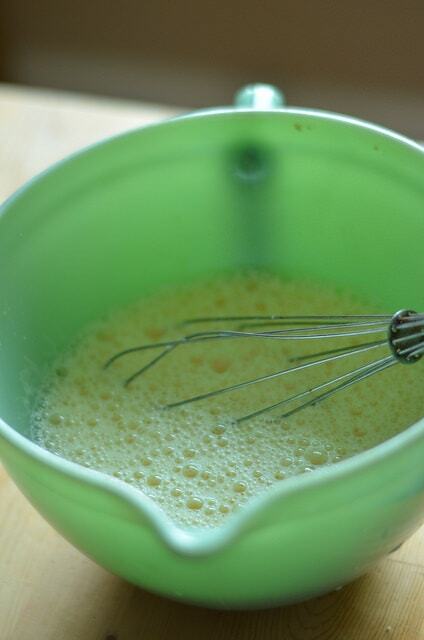 Whisk thoroughly or beat with a hand mixer on medium speed. Add cornstarch and mix thoroughly again. Pour lemon mixture over crust and set the entire baking dish on the bottom rack of your oven. Bake for 25-30 minutes or until the lemon custard is just set. 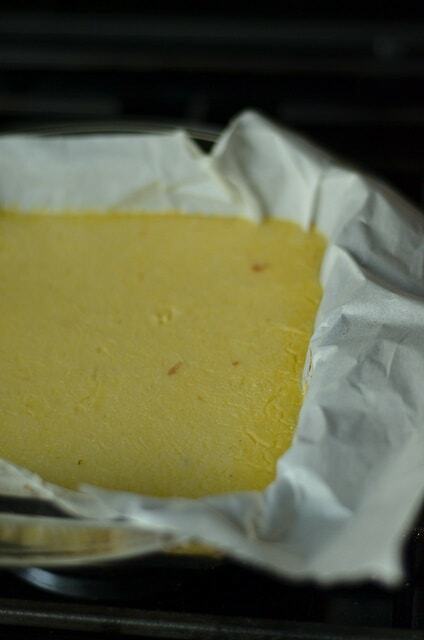 Allow to cool thoroughly before removing the entire recipe from the baking dish using the parchment paper. Cut into squares and refrigerate in an airtight container until ready to eat. The pictured bars are sprinkled with sugar-free powdered sugar, which I made by mixing 1/4 c. Splenda with 2 heaping tsp. of cornstarch.